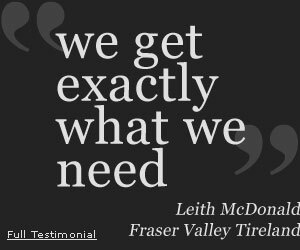 We sell to Kal Tire, Fountain Tire, OK Tire, Tireland Tire stores as well as Dealerships and 4×4 Accessory Outlets. 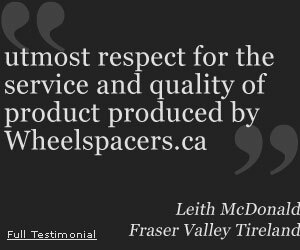 At Wheelspacers.ca we manufacture our wheel spacers, wheel adapters and Hub-Rings from aircraft grade 6061-T6 extruded billet aluminum and premium “new steel” on CNC mills and lathes. We used Raybestos and Dorman studs, some Papco and Moroso studs depending on the application and OEM Automotive open end nuts which are press-in with a 20T press. 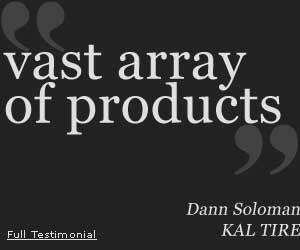 * This means that our studs are “off-the-shelf” and can be found at any major automotive store like Napa Auto Parts. * The stud part number is on our invoice. Chinese wheel spacers, wheel adapters and hub-rings are mostly made from Aluminum chips which North American companies such as Wheelspacers.ca take to the recyclers. Chinese manufacturers press these scrap aluminum chips and shavings into castings and forgings with great tonnage and heat. Sometimes they might even impact the aluminum ‘slug’ to try to make it denser. The spacers made in China are of a softer, lower grade aluminum which can be ‘porous’ and ‘gummy’. The studs and nuts which are supplied with the Chinese spacers are typically grade 10.9, a lower grade to what is commonly found on our North American made vehicles. The above generalized information is what we at Wheelspacers.ca have found out. We are not saying that all Chinese manufactures are like this, but ultimately “You get what you pay for”. This is the main reason why we feel spacers Made in China are ‘Cheaper’. up to 4” thick (or thicker). hub-centric with the same hub diameters or different hub diameters. with interfering bolt hole patterns (not all are possible, call to find out).